How many times you were in a situation, where you need a GUID to test your .Net application or fill a ‘uniqueidentifier’ column of SQL table. I found this GUID generator site very helpful. You just need to refresh the web page to get a new GUID every time. 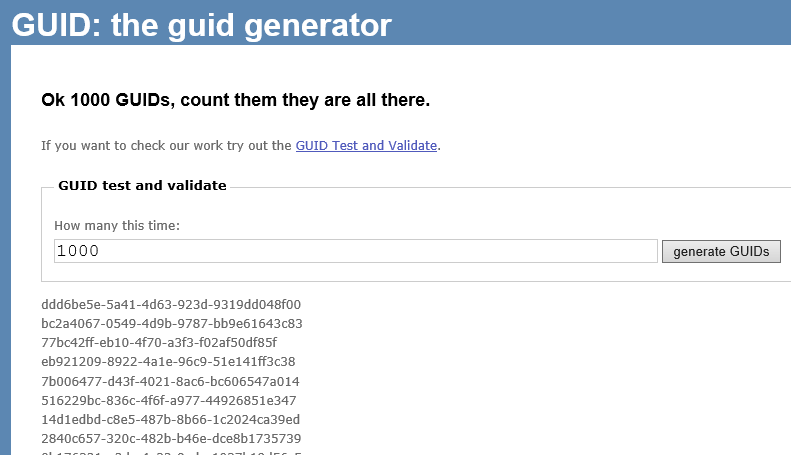 Not only this, this site will give you as many as GUID’s you want at a time and also has GUID validation option.